Yes, it’s possible to change horses in midstream. Just ask Louise Locke. 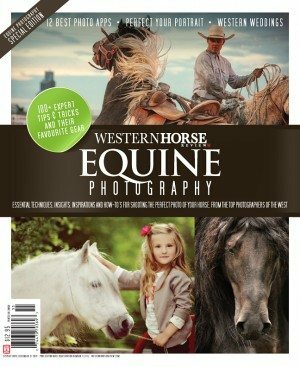 More than two decades ago, Locke was wandering through the Calgary Stampede’s Agriculture Barns with her eldest daughter Kim, when they stumbled upon a stable’s worth of pint-sized equine packages. 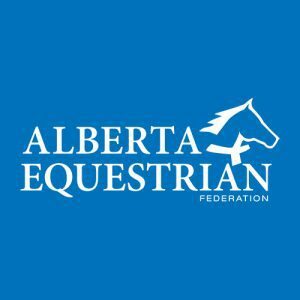 The four-day Canadian National show, sanctioned by the American Miniature Horse Association and held in the Agriculture Barns, wrapped up Tuesday and featured 67 horses entered in a wide array of classes, including hunter/jumper, obstacle, halter, in-hand jumping, roadster, pleasure driving, log drag and more. Of course, if the Lockes hadn’t entered the world of miniature horses – which max out at 34 inches tall –they wouldn’t be able to tell the tale of the Amazing Bunny Brothers. All three minis are the offspring of the late Martin’s Bunny, formerly owned by Circle J Ranches, and have gone on to great success in the show ring under the Lockes’ Hurricane Hill Miniatures banner. Their first purchase, Circle J Buster Bo, earned a pair of reserve championships in obstacles at the American Miniature Horse Association’s world championship, among other achievements. Its brother, Circle J Champ’s Li’l Chief, was a Canadian National grand champion in senior gelding at the 2009 Canadian National. 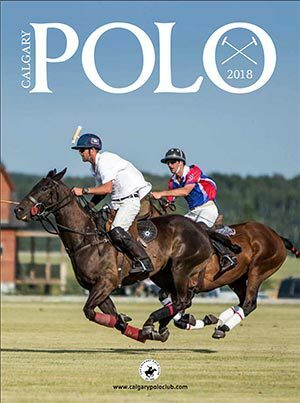 And on Sunday, another chapter was added to the tale when the third brother, Circle J Bunanza – a hunter/jumper specialist who’s earned plenty of accolades at the AMHA worlds – was named this year’s Canadian National grand champion in senior gelding. Circle J Champ’s Li’l Chief, a “phenomenally well built horse,” says Locke, was also used by Giles as a sire before he was gelded, and one of his offspring, Circle J Duchess, won Hurricane Hill Miniatures another Canadian National title in 2009, as grand champion in the senior mare class. After collecting four Canadian National class titles and two reserve championships in 2009, Locke’s minis scooped up a few more awards at this year’s show. 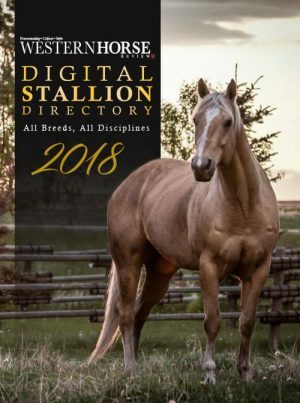 On top of Circle J Bunanza’s win, Imprint Gold Denali won a Canadian National grand champion class title in senior stallion, and HCM War Paints Feelin Groovy was a Canadian National reserve champ in both country pleasure driving horse and roadster driving horse. 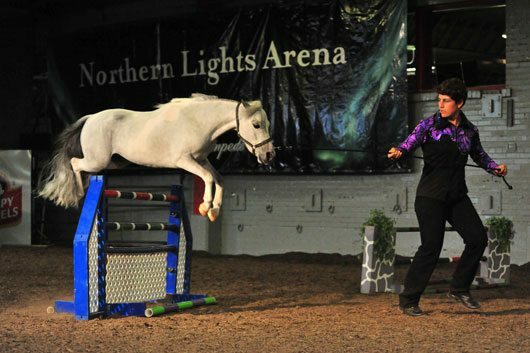 Tuesday afternoon at the Northern Lights Arena, during the pinnacle of the 2010 Canadian National, FirstKnight’sHotChildintheCity, owned and bred by Calgary’s K.C. 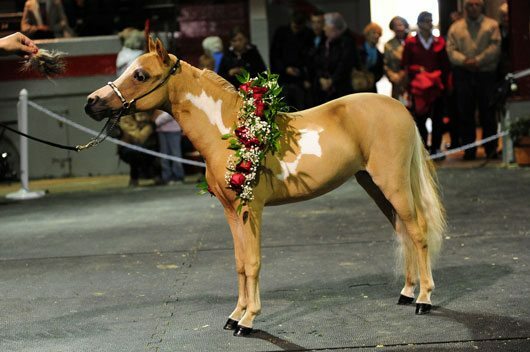 Pappas of First Knight Miniatures, was named Supreme Halter Horse, the overall champion of this year’s show. First Knight Miniatures also saw FirstKnightsQuantumOfSolace win a Canadian National class championship in junior stallion, while FirstKnight’sStridersSolidGold was reserve champion in the same category. First Knights American Idol, the Supreme Halter Horse at the 2009 Canadian National, was named this year’s grand champion in the junior gelding class. The 30th anniversary Canadian National show attracted breeders and enthusiasts from across Alberta and British Columbia. Other Canadian National grand champions were named as follows: WCR Regalaire, owned by Dawn Labine’s Little L Acres of Millet, Alta., in both roadster driving horse and single pleasure driving horse; WCR Catmandu, also of Little L Acres, in country pleasure driving horse; First Knights Angel of Music, owned by Strathmore’s Cindy Hunter, in senior mare; and Smokey Mountain Indian Magic, owned by Calgary’s Dale Crocker, in classic pleasure driving horse. Other Canadian National reserve champions were: Imprint Dustys Denim Blues, owned by Patricia Bricker of Blackie, Alta., in single pleasure driving horse; Ramblin Ranch Fast Forward, owned by Christine Tilleman of Airdrie, Alta., in junior gelding; RFM Best Bets Lady Sierra, owned by Colin and Marj Brown of Wetaskenau, Alta., in senior mare; Labine’s WCR Catmandu in senior stallion; Circle J Dezigner Genes of Circle J Ranch in senior gelding; and Circle J Charizma, owned by Peggy Tilleman of Airdrie, in classic pleasure driving horse.